Guest and Gray Law Firm is the legal team that local residents turn to when a loved one has been seriously injured or killed in an accident. We have recovered millions of dollars for our clients. If a loved one has been killed in an accident in Rockwall or Forney, you need to call the local, trusted law firm of Guest and Gray, P.C. Rockwall Civil Litigation Attorneys: Guest and Gray, P.C. Rockwall is a destination for residents and businesses alike. Rockwall has it all. 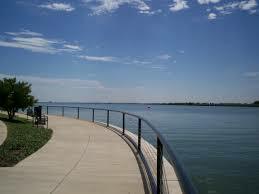 High end living, great places to eat, Lake Ray Hubbard, easy access to Dallas and East Texas. Overall, it is a great place to live and raise a family. It is also a great place to start a business because of the high population density in Rockwall and the fact that it is a hub for several major interstates and highways. Guest and Gray, P.C. is the largest and highest rated law firm in Kaufman and Rockwall counties. Our staff of attorneys is dedicated to serving the Rockwall area. We are the local, trusted law firm who has represented hundreds of Rockwall county residents over the years in various legal disputes. Res Ispa Loquitur is one of those cool old latin legal terms that has made its place in modern law and is here to stay. 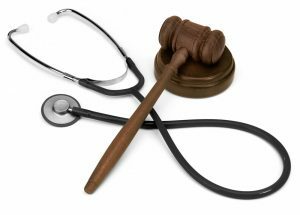 It is one of the more useful ones, as well, especially in medical malpractice claims. The term Res Ipsa Loquitur literally translated means “the thing itself speaks”. In law, it means that the occurrence which brought about the injury would not, and could not, have happened absent a negligent act. It is a way of presuming negligence without having to prove it with a lot of evidence. What is a good example of that? A sponge. Yep, a sponge. ….. A sponge that was left in a person’s abdomen during surgery that was left there with “no medical justification for leaving it there.” Yeah, Res Ipsa Loquitur definitely should apply there. 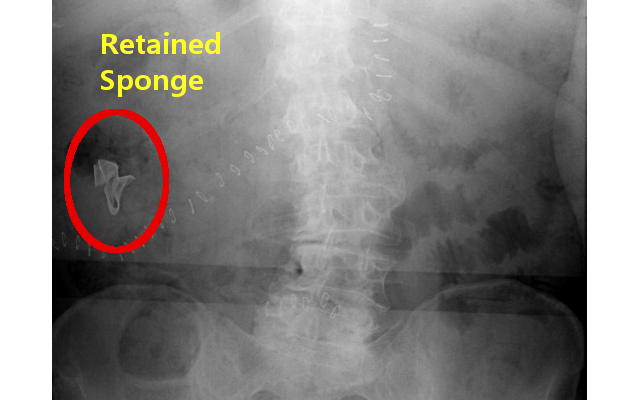 Leaving a sponge or other object in a person’s body after surgery can lead to infection and even death. 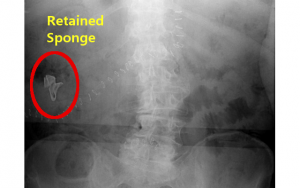 The fact that a sponge or other foreign object was made to remain in a person’s body after surgery can only have happened because someone forgot to remove it. Therefore, the fact that it is even there is due to someone, namely the doctor conducting the surgery, was negligent in failing to remove it. Period. End of story. So, you had surgery a few days, or weeks ago and it didn’t take long but you started to feel very weak and ill. You noticed that an incision was not healing correctly. Then the fever started. These are some of the more common symptoms that we hear about from our Rockwall, Dallas and Kaufman county clients who have had what is called a “retained foreign object” after surgery. Retained foreign objects can lead to infection and sepsis. If the infection does go septic, it can be deadly in a very short period of time. WHAT IS A “RETAINED FOREIGN OBJECT”?